The Road to Three: Ria is turning 3! It’s about a month before my daughter’s 3rd birthday and this one is special she’s going to celebrate with her classmates. So I’m already starting to do the necessary preparations to get everything in place for this special occasion. We asked our daughter who her favorite character is and she said Mickey Mouse. I said we’ll have Minnie Mouse instead since she is a girl. 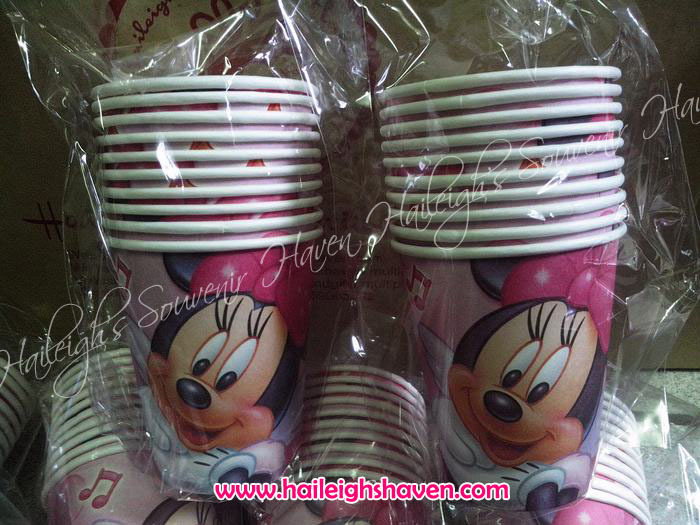 I’m looking for different Minnie and Mickey Mouse party favors and supplies or anything in pink polka dots or plain pink. Invitations will be handmade as we want them to be personalized. Of course, Minnie Mouse will be there but we are adding some stuff to make it a little bit interactive for kids. Invitations will be scrapbook like and we want Ria to contribute something by, I guess, pasting some papers? We’ll see. I will post some pictures once we’re done with the invits. I want the loot bags to be also personalized. So I’m thinking of sewing a cloth bag and we’ll silkscreen it with Minnie’s silhouette. This way, the kids can still use it for their other stuff (better yet, their moms can make use of it in some other ways). The loot bags will contain mainly toys (as much as possible, we’ll look for Mickey or Minnie party favors), books (activity books, story books, anything we’ll find), and I want to sew wands with Minnie Mouse or Mickey’s head but it’s still undecided. For the party favors, we visited SM Department Store (Toy Kingdom) and Robinsons (Toy R Us). I noted some favors that we could include. Usually the favors are already in packs of 3, 4 or 6 which is, I think, some kinda saver for parents who do not have time to go to Divisoria to look for decent party favors. The packs are priced P59.75, P49.75 amd P39.75. There are also coin banks available in Mickey Mouse and other characters at P89.75 for four pieces each pack. Character pencils are also available at P79.75 which are usually Dora and Spongebob. Japan Home Center and Saizen also have party favors that can be used such as refillable pencils (Mickey Mouse), 24 mini colored pencils, 6 sheets of stickers and one tube that contains 75 different sized hair ties all available at P88 each. Since we are planning for a Minnie Mouse party, I’m looking for pink polka dots or plain pink supplies, if ever there are no Minnie Mouse supplies available. I found a pack of Mickey Mouse table napkin in 20’s worth P99 at Toys R Us. 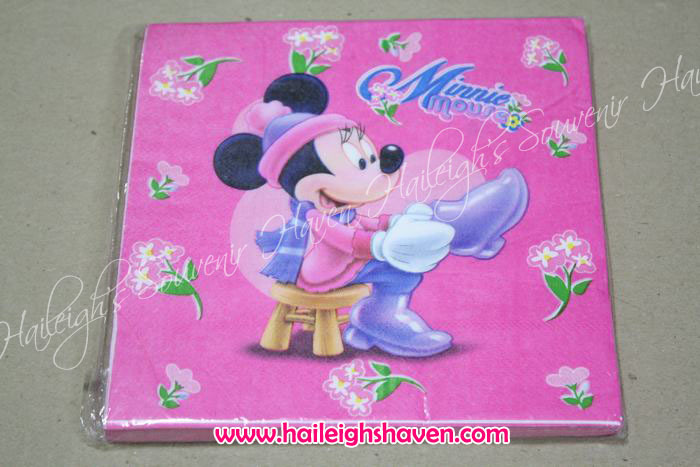 Haileighs Haven, an online shop, is also offering Minnie Mouse napkins available at P60 per 20 pieces. We could buy a pack then the others will just have a regular or cheaper table napkins. I’m still considering to buy other designs since it’s a bit pricey. 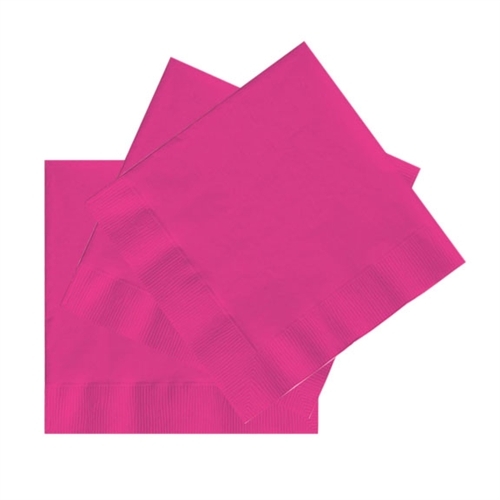 There are pink table napkins in Japan Home Center worth P88 for 50 pieces. There are also polka dots table napkins in Celebrations Party Central for P60 per 20 pieces and P119 for 24 pieces or P95 per 20 pieces available at Party Basics Online. There are cheaper printed napkins in SM worth P24.75 for 50 pieces but as much as possible I want the supplies to be with the theme. 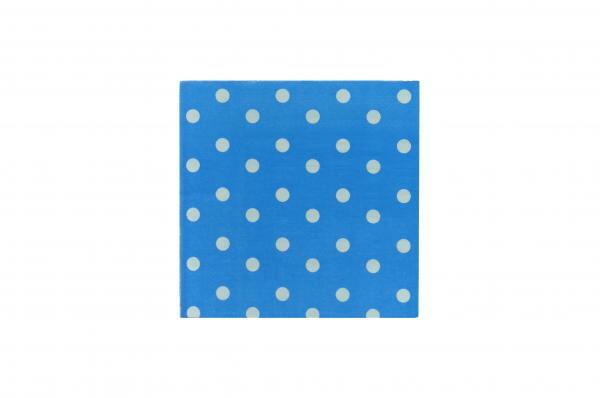 For the cups, it is really hard to look for cups in polka dots that are cheap. 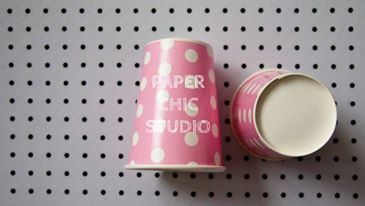 Paper Chic Studio offers polka cups worth P150 per 10 pieces. For me, it’s out of my budget so I’m checking other shops that offer cheaper cups. I’m also considering buying plain pink pastel cups or just any pastel color paper cups. 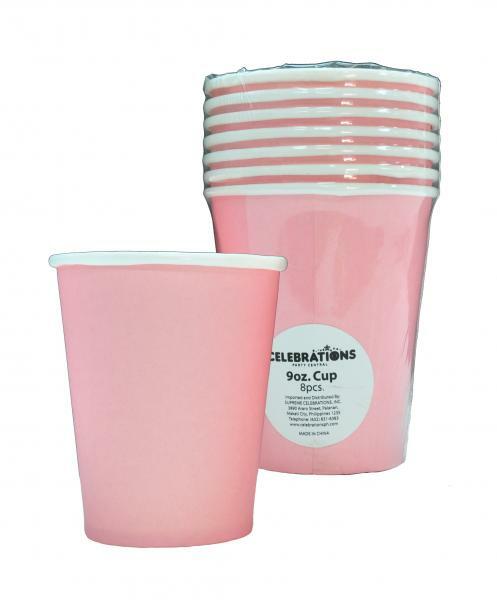 Celebrations Party Central has plain pastel pink cups worth P48/8 cups. But I talked to my officemate and she said she just bought juice in tetrapaks. Saizen, the Japanese store, offers 25 pastel colored cups (but in different colors) for P88 per pack while Japan Home Center has 20 printed cups for P88 also. SM has 50 striped-printed cups worth P84.75 and 24 scribble printed cups (blue or pink) at P57.75 per pack. Shopwise Cubao also has stripe-designed cups at P69 per 25 cups. Paper straws are also cute but we would not use them. In case anyone wants to know how much they cost, SM supermarket has P59.75 paper straws (stripes, different colors) for 50 pieces. To be unique, I don’t want to use the ordinary party hats. I saw a tutorial on how to do the Minnie Mouse and Mickey Mouse ears. I want to make those and instead of hats, the kids will wear them. 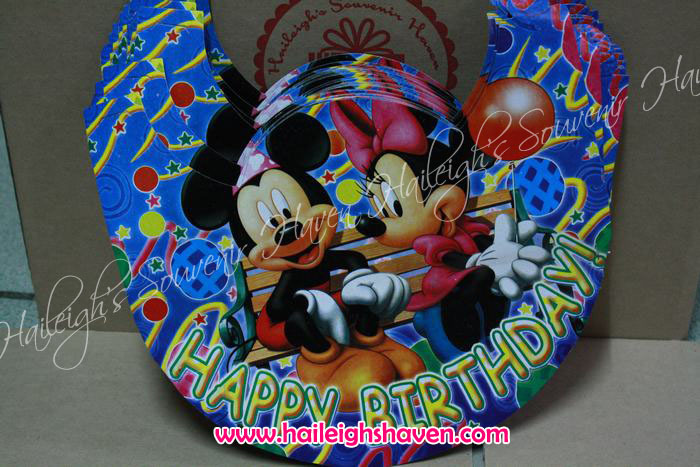 But I also saw Mickey Mouse party hats at Haileigh Souvenir Haven. 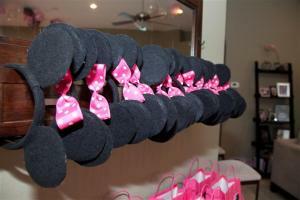 Minnie Mouse and Mickey Mouse Ears!